Old Blimey is not usually where vintage design hunters would set their sights in their quest for the finest pieces, rather going for France, Italy or the Nordic countries. This would be missing important early modernists and excellent 50s furniture. Also, the UK was an important market for modernist furniture, being for instance the first export market for Aalto furniture (distributed by Finmar Ltd) and there is nice vintage from other designers as well. Gerald Summers and the beautifully named Makers of Simple Furniture is said to be the most innovative UK designer of the 1930s. This claim is easily supported by his armchair (1933-1934) a masterpiece of modernism. 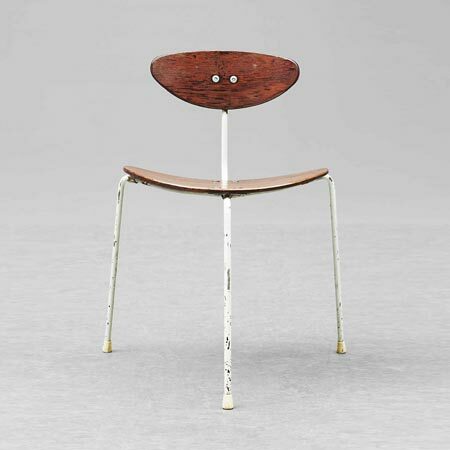 Uniquely, for the time, the chair was manufactured of a single sheet of plywood following an ingenious design. This solution was motivated by the intended use of the chair in tropical climates where metal joinery would not have resisted humidity. Unfortunately Makers of Simple Furniture was active for only 11 years from 1929 to 1939 when it had to shut down because of restrictions on the importation plywood. Summers never really went back to design. Only 120 armchairs were produced. Isokon was founded on the same year as Makers of Simple Furniture and ceased its activities in 1939 for the exact same reason. We are very found of the idea that Isokon was founded by a bacteriologist, a sollicitor and economist! 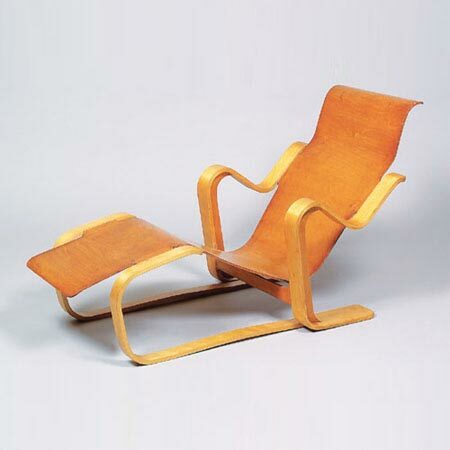 Isokon was closely associated with the Bauhaus, and harbored German designers fleeing the Nazi regime. Walter Gropius was controller of design there between 1934 and 1937. He recommended Marcel Breuer whose most striking design is his armchair, a translation of an earlier metal design for Wohnbedarf in Switzerland. Another iconic design is the Penguin Donkey by Jack Pritchard and Egon Riss. Jack Pritchard was managing the company and went on to relaunch Isokon in 1963 and work with Ernest Race (more on him below). 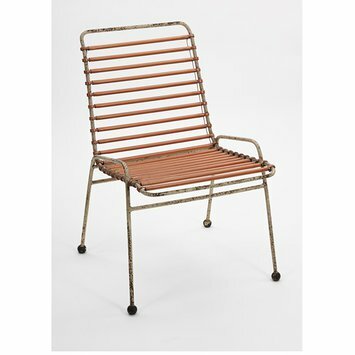 The company was relaunched a third time in 1999 under the brand name of Isokonplus. Jump forward to 1951, the year of the Festival of Britain, where two major names of British design, Ernest Race and Robin Day came to the fore. 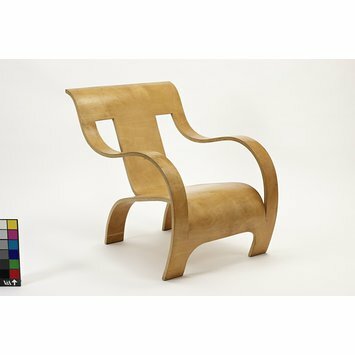 The Springbok chair by Ernest Race was picked for the Festival’s cafe. This design is now slightly forgotten for the more famous Antelope and Unicorn chairs. Robin Day was commissioned at the Festival of Britain to design the Royal Festival Hall seats. The Royal Festival Armchair is a particular favorite. He and his wife Lucienne, a textile designer, went on to become the much loved British equivalent of Charles and Ray Eames and embody British modernism. Lucienne Day sadly passed away last month. Robin Day established a successful collaboration with the furniture maker Hille. The Polyprop and Polo chairs they produced together were huge successes. The 1950s and 1960s saw several good designers and editors producing modernist furniture, inspired by Scandinavian and names like Ercol, Heritage, Archie Shine, G Plan, Merrow Associates and Stag are coming back into fashion. Here is a good BBC Homes and Antiques article and links to good UK dealers of these design. Hurry while they are still affordable: prices are rising fast and new pieces constantly appear on the market. You can also pay a visit to Concrete Box and Mark Parrish who offer a very good selection of British vintage designs.